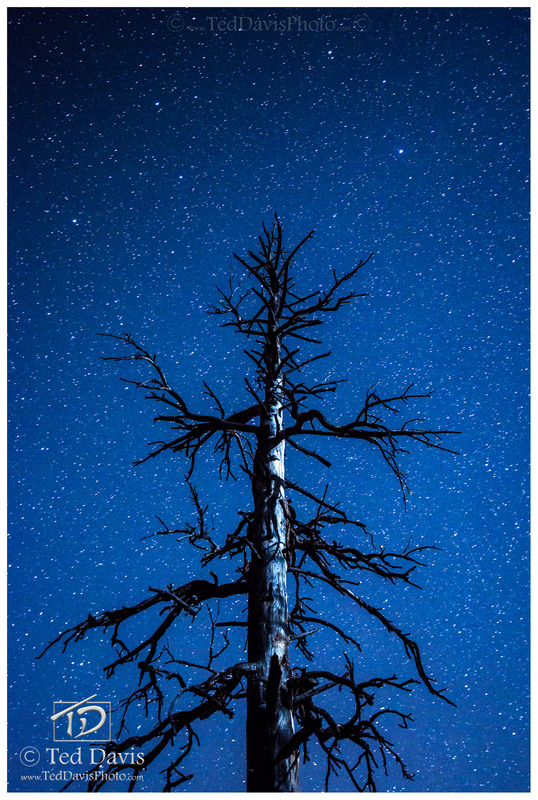 A singular tree amidst a million and more stars. Evening Sentinel was my first successful attempt of astrophotography, and I won't ever forget the frigid temperatures, silent night, or the beauty just out of reach above me. Photo © copyright by Ted Davis.